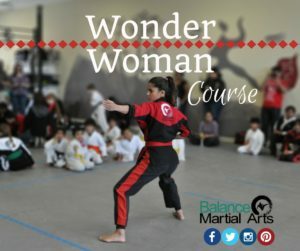 This class covers miscellaneous scenarios from an “attitude and mindset not to be a victim”, as well as developing a plan of action, and specific techniques to resist and escape an attack from a predator…and yes, they are PREDATORS! >>Recognize, and avoid dangerous situations. >>Learn practical self-defense that could save your life! >>REFUSE TO BE A VICTIM!!! If you have already attended our Free Seminars in the past, please join us for this important course! Self-Defense is about your mindset, and the more you practice, the more we can ‘build’ your personal fortress of safety awareness and action!!! Don’t miss out – Contact us to register today to hold your spot! To register, you can CONTACT US here, or at 919.463.9833, balancemartialarts@gmail.com. Our special workshop will begin Saturday, June 3rd, but you don’t have to wait to get started until then; check our schedule and come on by!! This entry was posted in Events, News and tagged Balance Martial Arts, cary women's self defense class, fitness kickboxing morrisville, martial arts cary, martial arts morrisville, morrisville women's self defense class, women's martial arts, women's self defense, women's self defense classes. Bookmark the permalink.